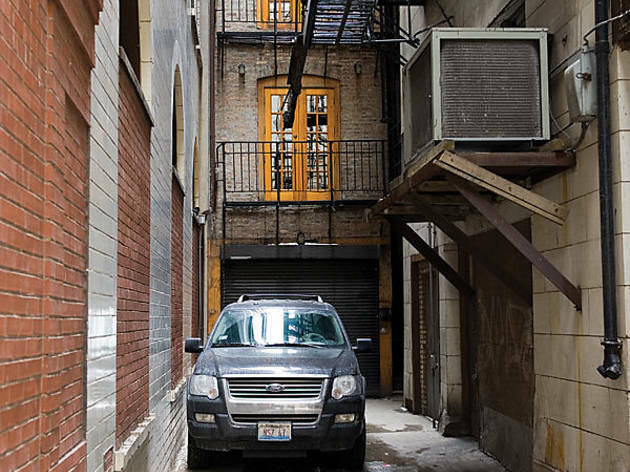 Own one of the Loop's smallest and most enigmatic buildings. Photograph: Andrew Nawrocki WAY BACK STREET 22 East Jackson was Abson’s Chop House in the late 1800s. The current property is for sale. Sandwiched between a Chinese restaurant and a sub joint sits what is perhaps the Loop’s most intriguing building: 22 East Jackson Boulevard. And it could be yours for only $435,000. Just a couple of catches: The place is 1,440 square feet—about the size of a large two-bedroom apartment. Oh, and since 22 East Jackson is situated down an alley-like lane in the middle of two structures four times its height, the light-brown brick building gets little sunlight through its wood-framed, street-facing windows. What is known, based on court records and historical newspaper accounts, is that a stable once sat there, owned in the 1860s by Henry Horner, a wholesale grocer (and the grandfather of an Illinois governor of the same name) who lived at the corner of Wabash Avenue and Jackson. (What’s debated is whether Horner’s stable survived the Great Chicago Fire.) The building was then occupied from 1871 to 1900 by Abson’s Chop House. In the early half of the 20th century, a number of restaurants set up shop in the compact structure: Red Path Inn, Robinson’s, the Pickwick (named after the passageway’s unofficial label, Pickwick Place) and, plainly, 22 East Jackson. Until recently, Murray says, the building was used as an office. “I walk by it every day,” says Dennis McClendon of Chicago CartoGraphics, a design firm at 228 South Wabash (around the corner from 22 East Jackson) that specializes in maps. “For years, I’ve known that it was this little curiosity. I wondered, Why does it look like this separate building back there that doesn’t have any street frontage? 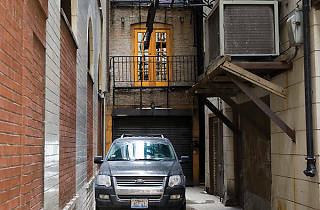 How does the back end of a building on Wabash end up having this address on Jackson with an access alley?” To slake his wonkish curiosity, McClendon pored over old fire-insurance maps to track the history of parcel division on the block, but he found few answers. “We just don’t know parts of this puzzle,” he says.